One of the most affordable in the market. Simple online application with E-Signature. ​The "One Haven At A Time" ​Screen. 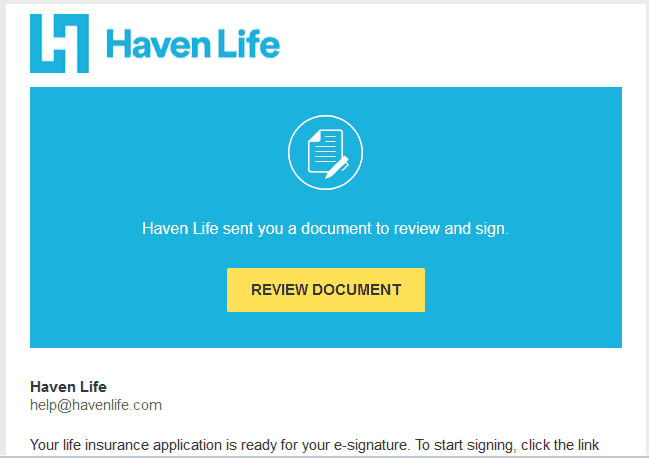 Summary: Haven for me is one of the best ways to buy insurance online and avoid the traditional 75-day life insurance application process. However, the online application should do a better job at explaining their health classes and which is best for you to choose. This is why I put this review together, to help you answer the question - is haven life legit? To help you see how simple and fast they it for you to apply for life insurance online and get an immediate decision. Enjoy ! 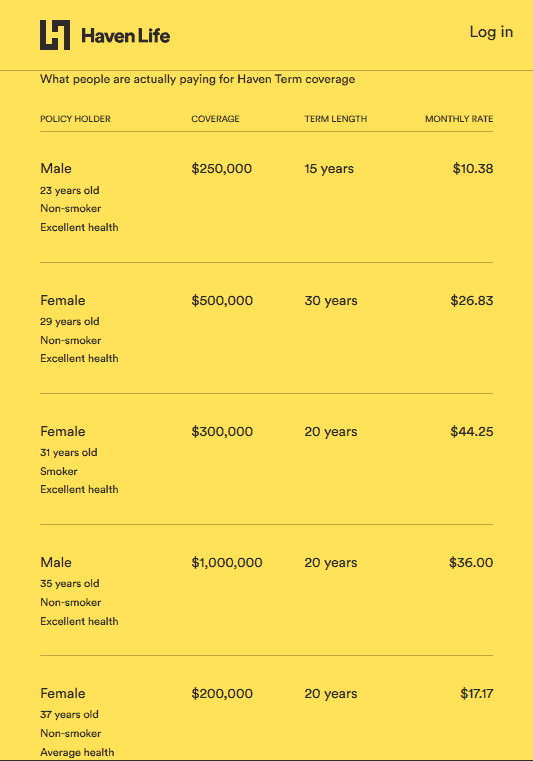 *Rates based on an 18 year old female buying a 10 Year $100,000 term policy, she is in excellent health and a non-tobacco user. How Fast Is The Application Decision? How Do Their Rates Compare? A few years ago I started the process to get life insurance for myself and although I was able to avoid what I call the "100 Calls of Doom", the process was still a headache. Even though I know how term life insurance works, and I already knew if I wanted term life or whole life, it still took me 3 weeks to get an approval decision. During those 3 weeks, I had to go pick up my own medical records and constantly follow up with the underwriter. Had I waited for my doctor's office to send in my medical records the decision would have taken much longer. 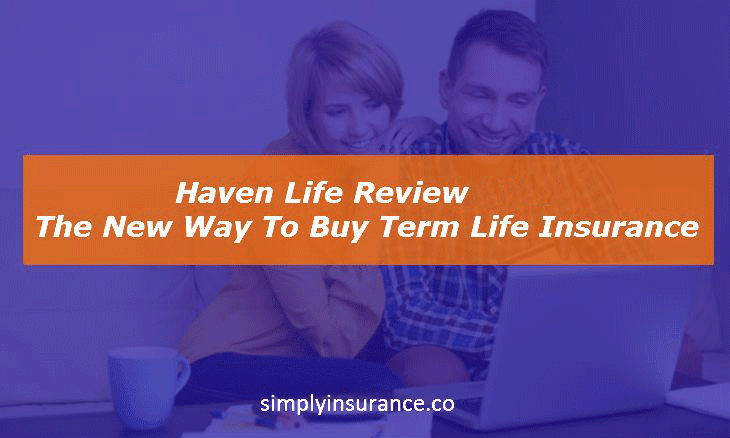 In this review today I am going to show you how Haven and the InstantTerm process works, and why it's the best way to get t﻿erm life insurance. It can save you time and money when you buy term life insurance online. Haven is a digital insurance agency wholly owned by MassMutual. MassMutual has been around since 1851, for us millennials that makes them old enough to be our grandparents, grandparent. This is an important factor because when it comes to life insurance you need to know that you can rely on an insurance company. *Disclosure - Haven Term is a Term Life Insurance Policy (DTC, ICC15DTC) issued by Massachusetts Mutual Life Insurance Company (MassMutual), Springfield, MA 01111 and offered exclusively through Haven Life Insurance Agency, LLC. Right now MassMutual has an A.M. Best rating of A++ (Superior). *Haven Term is issued by Massachusetts Mutual Life Insurance Company (MassMutual), which is rated by A.M. Best Company as A++ (Superior; Top category of 15). The rating is as of March 17, 2015 and is subject to change. MassMutual has received other ratings from different rating agencies. Why Should You Care About A.M. Best? I like to think of A.M. Best like the JD Power of the insurance industry, they have been around for over 117 years. They rate companies based mainly on their financial strength, which can be an indicator or claims-paying ability. Claims Paying Ability "in plain English": A Life Insurance Company's ability to pay out on a policy. 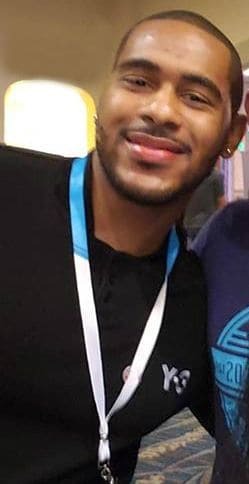 They are one of the first companies that offers the ability to apply for term life insurance up to $3,000,000 with an easy, online process and without the need to consult an agent. ​Through its partnership with MassMutual, they have created a process called InstantTerm, which allows coverage to begin immediately for some qualified applications (up to age 45). Their system can underwrite you while you are completing your online application for an Instant Decision. This is a complete game changer for the life insurance industry with the average time to a decision being at around 56 days. Yes, I said 56 days and that is not always the case, I have seen some decisions take up to 75 days. This process has been such a burden that it stopped 18.7 Million people from either getting coverage or completing the process. Haven is looking to change this with their instant quotes and instant decision platform. For qualified, healthy individuals they will even offer immediate coverage. Along with its new re-branding, Haven has created a process that they say allows you to get your Real Rate. They describe the real rate as the actual monthly premium you would pay for an actual Haven policy. As with a quote, there is no obligation to purchase a policy after getting your real rate. ​This means that instead of the standard process of getting a life insurance quote, applying for coverage, and then waiting to see what your final rate will be. You should be able to get the Real Rate of your life insurance policy before any payment options are given or any payment information is required and while you are completing your application. I think this is a great process and an awesome new feature that Haven is offering. 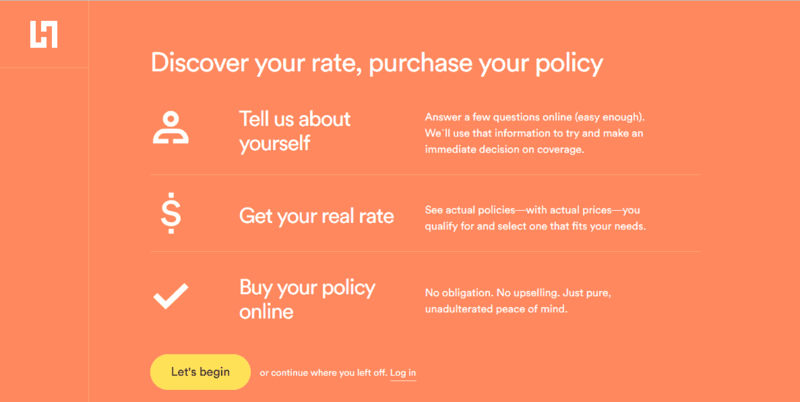 ​Real Rate will remove the feeling of bait and switch and it attempts to make the life insurance buying process much simpler and more transparent. ​If you are anxious to check out this new feature, you can get your Real Rate here. The best part about this is that you don't need to have your credit card handy when completing this application process. ​The application process for Haven ​Term is online and luckily for you, I've decided to complete the whole process in the video below. I think this video makes this one of the best Haven insurance reviews available, I created this video before the update so a new video review will follow soon. ​The one thing that isn't easy to find is exactly how to choose which rate class you fall under. After looking through the site I was able to locate this information. This is important because if you don't choose the option that best fits your current health situation you could see a rate increase. You should choose this option if your blood pressure or cholesterol levels are high. You should lose some weight or you have a history of medical conditions. You aren’t in bad health, but you are squarely average. Choose this option if you are in pretty good health although you may have somewhat high blood pressure or cholesterol and could stand to lose some weight. You may have some history of medical conditions. Finally, choose this option if your cholesterol and blood pressure are normal, you aren't overweight, and don't have any medical conditions. A picture of perfect health. Congrats, you are part of the healthiest 20%. That's it, again, these explanations were found on their website with a bit of research, I just made them easier to find. The decision was actually pretty fast. ​I was actually able to get a decision in less than 10 minutes. ​If you saw the video you can see that this application process is much faster and information is pulled in real time. ​I was sent to a screen that stated I had to complete an exam based on my application. Since I take no medications and haven’t been diagnosed with anything I actually reached out to the support team in regards to this. It’s all based on how the algorithm viewed my application as a whole. I think it could have been the fact that my last checkup was 3 years ago and that I am in-between primary doctors so I just put no primary. Factors like this can easily cause you to not be able to get approved without an exam. So it looks like I am going to be completing the exam soon. They give you 30 days to complete it. ​Once you are given a decision, you are given the ability to add your beneficiary information. Your beneficiary can be anyone with insurable interest. Once you are given your decision you must sign your application. I did find out something interesting, though. If you request a new link to be sent to you, you will get an email that says “Voided: Sign Your Life Insurance Application”. Keep this in mind and don’t panic, you didn’t just void out the whole application they just created a new e-signature document. As you see above, you get to review and sign your document. They want to know that you are serious about getting covered so you are only given 7 days to sign the application or it will be marked as incomplete. When you finish signing the application with your e-signature you are sent an email in regards to your exam. You are told that ExamOne will reach out to you within 24 to 48 hours to schedule your exam. ExamOne is one of the largest exam companies in the states and they will send out a certified examiner to you at your home or place of employment and at your convenience. Genderspectrum.com has a great article about what it means to be Gender Inclusive and Haven is one of the most open about their position. A you can see above they have moved passed the traditional life insurance quote and application form of just putting Male or Female as a Gender. ​Haven has decided to replace it with the words "I identify as:" which is much more inclusive of the Transgender community. You can check out ​some of the policies that are actually in-force and that people are paying on Haven's site. Be a non-military U.S. citizen or Non-U.S. citizen with Visa or Green Card between the ages of 18 - 65. Have no intentions of using the policy for business purposes. Haven is now available in All 50 States. One Haven Browser At A Time is a new feature that I am not a fan of at all. It limits you to only being able to have one instance of Haven Life's website open at one time. ​This feature limits you from being able to use the site to its fullest and will limit your browsing ability on the site. 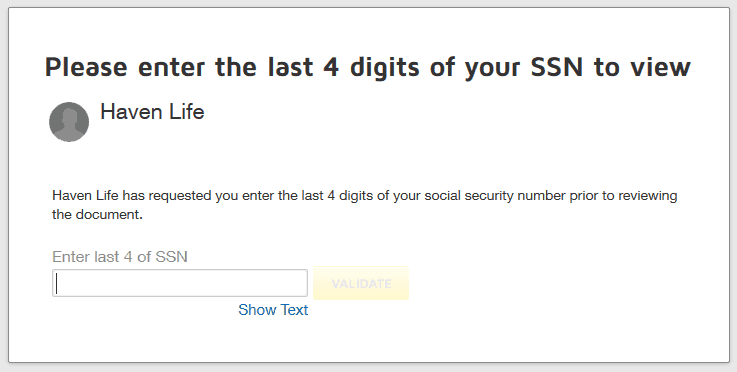 They also have a pretty nifty Life Insurance ﻿Calcul﻿ator﻿ ﻿tool. This tool was created to help you get a better Idea of how much coverage you should probably be applying for. Along with the speed of the application process, there are a few more benefits that come with the policy. The accelerated death benefit is a great feature that is included with the policy and goes into affect after you have been medically underwritten and approved. This benefit allows you to accelerate the death benefit up to 75% while you are still living if you are diagnosed with a terminal illness. Imagine the peace of mind you would have if you were able to spend your final days with your family with less money worries if you were diagnosed with terminal cancer. The waiver of premium rider does come with an additional cost, however, it is a great benefit to have. If you are ever in a position where you get hurt on the job, or have an accident and can no longer afford your premiums. After a 6 month waiting period you can activate the Waiver of Premium benefit. Once you reach your 6 months, this benefit starts paying your monthly premiums during that time you are unable to work. Like with all life insurance companies, you are given time to review the policy and make sure that it is a fit for you and your family. If you decide against the policy within that 10 day window, you are able to cancel it and receive a full refund. 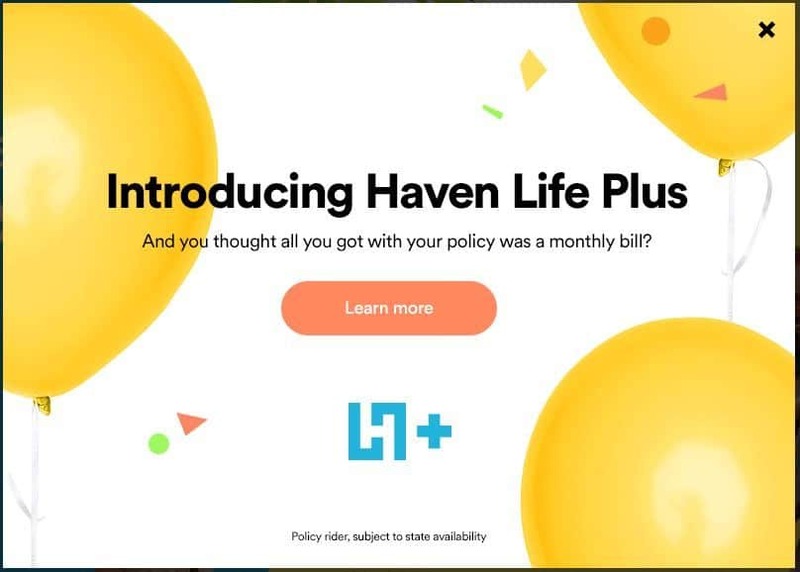 Haven has done it again by adding one of the coolest features to its life insurance offering known as living benefits. This is a new type of living benefit attached to your life insurance policy at no additional cost which gives you access to savings on different products like Trust & Will, Life Site and Minute Clinic. ​No other ​Haven Life Insurance Reviews are as long as mine, however, I wanted to make sure that I gave as much detail as possible. If you have been holding off on buying life insurance for any reason; student loans, credit card bills, procrastination, I say give the 10-day free look period a shot. With the InstantTerm process​, you no longer have to be afraid of the life insurance buying process. As I stated above, you get 10 days after you have been approved to look over the policy and decide if it's the right thing for you and your family. Disclosure: As a licensed agency we receive advertising revenue from this partner. Learn more.